Home Credit Card Is Chase Hyatt Credit Card The Best? Is Chase Hyatt Credit Card The Best? For those who frequently travel around the country, there are different types of hotel-branded credit cards to choose from. At first glance, the 3 year old Chase Hyatt Visa Credit Card seems to be just like any other credit card with amazing sounding offers which get lost somewhere with the ‘conditions apply’ clauses. However, there are a few interesting features about this card that benefits the frequent travelers. When the biggest bank of the world unites with one of the biggest hotel franchises of the world, you can expect that you are not getting an ordinary deal. 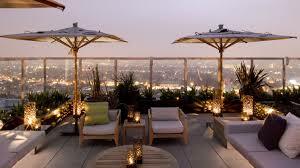 The Chase Hyatt credit card is one of the youngest entrants in a very competitive world of travel-based credit cards. During the early years when Hyatt marketed the card, it was primarily for customers willing to use the services within the Hyatt premises. But lately it has come up with amazing offers that could benefit card holders in different ways. As soon as you reach $1000 worth of purchases with the card within 3 months, you will receive a 2-nights luxury stay at any Hyatt property. During the first year, card holders are not charged with an annual fee. However, $75 will be charged after the first year passes. 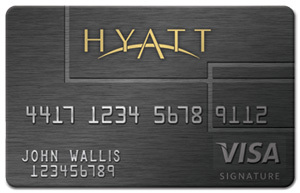 The rewards of 3 points per dollar spent at Hyatt franchises and 1 point per dollar elsewhere have always been an attractive feature of the card. One of the most amazing features of the Chase Hyatt credit card is the waiver of all foreign transaction fees, which could save you 3% on every out-of-the-country purchase. Since the card is fitted with an EMV chip, it’s easy for foreign vendors to process your card with less chances of getting rejected while abroad. Hence, both these features make the card an excellent option for international travel. For those customers who spend more, the card offers amazing benefits and rewards compared to other cards found in the market. Frequent use of the card will easily see you climb towards the Gold, Platinum and Diamond status. This will give you premium packages like 3days stay credit, as well as, some big points boost. Studies from several websites have shown that the benefits provided by the card for its regular users will exceed those compared to other companies. The Chase Hyatt credit card has cut out some of the amazing offers it used to give, starting November, 2013. According to credit card industry experts, there are cards with better offers in the market when compared to Chase Hyatt. They include Discover it cards, Barclays Arrival World MasterCard and Capital One VentureOne Rewards. In places where you can’t use the facilities from Hyatt, it may prove to be somewhat less rewarding. Exclusive travel cards by banks may provide more for general facilities, compared to the Hyatt Chase Visa. With some credit card interests hovering around 13%-14%, the interest rate of 15.24% from Chase is a bit higher. The overdraft facilities at 19.24% and penalty charges at 29.99% also can be considered somewhat expensive. Most credit card companies usually aren’t worth it in the long run. Within a few years, the benefits simply fade away. In fact, it can be quite challenging to keep on using cards just to earn points. However, opting for a Chase Hyatt card may not be a bad decision. Although some of the benefits may no longer be available, it still brings you great advantages especially if you visit heir facilities often. The benefits and rewards, as well as the points accumulated through the use of your card is going nowhere. The global benefits provided by the card can’t be matched by other cards. If you travel a lot, having a Chase Hyatt card may be wise. The more you use your card, the more perks you will receive. Should You Open A Capital One 360 Account Today?